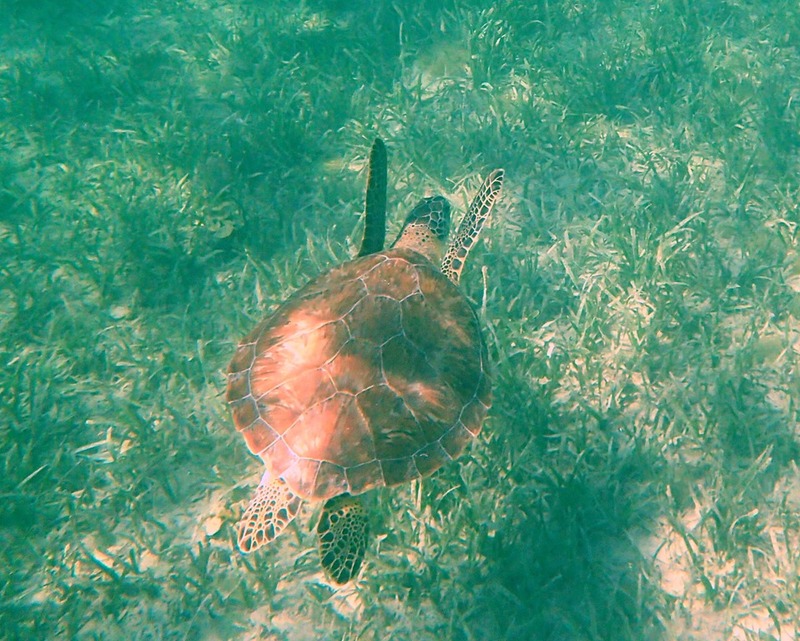 Green Turtle Cay is perfect for finding sea life – gorgeous beaches, little coves, bigger sounds, and shallow lagoons. 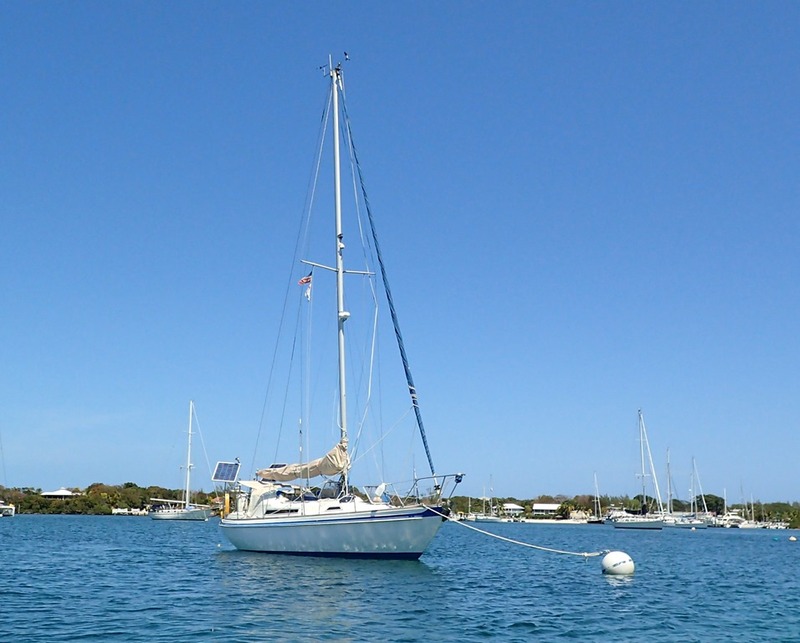 We’re on a mooring in White Sound. Just because. We’re lounging in Motu Iti’s cockpit when we spy turtles sticking up their heads to breathe. Not far from our boat. 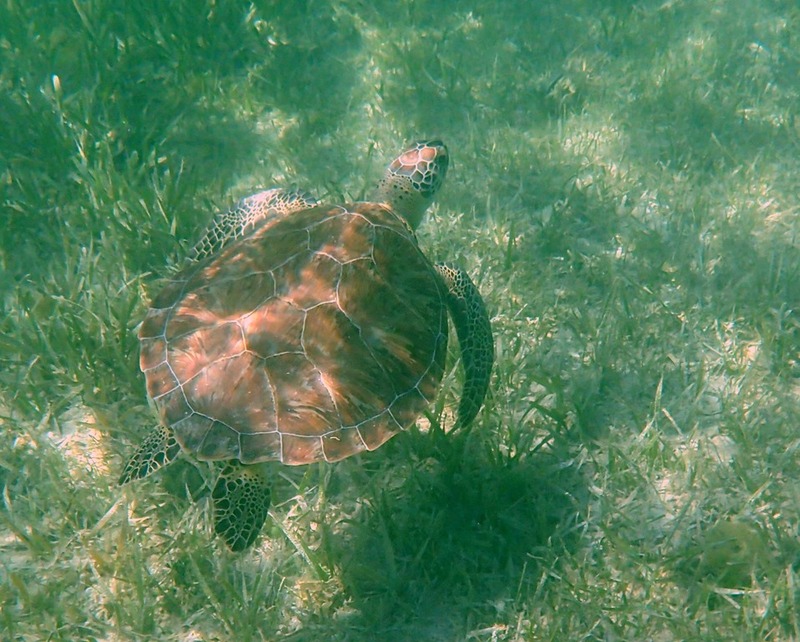 We decide to climb into our dinghy and look for turtles in the shallow lagoon that runs along White Sound’s east side. 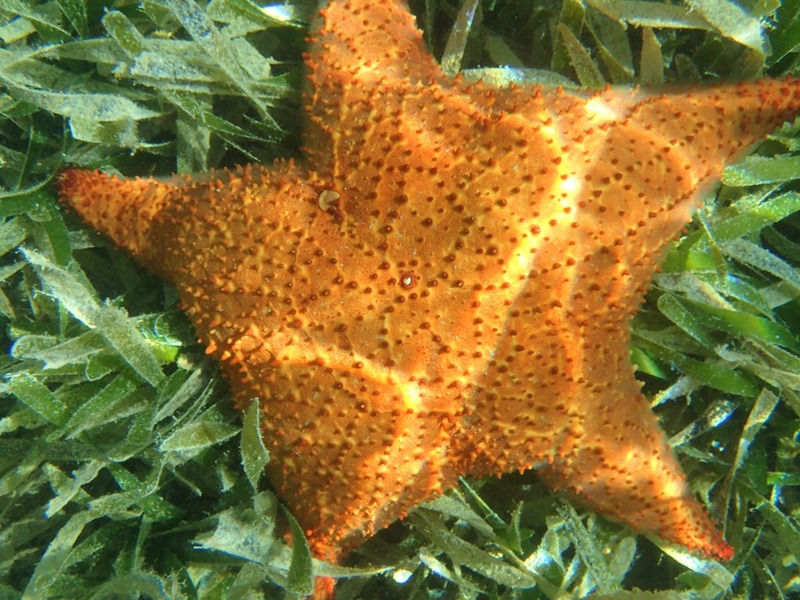 First we find a big fat sea star. 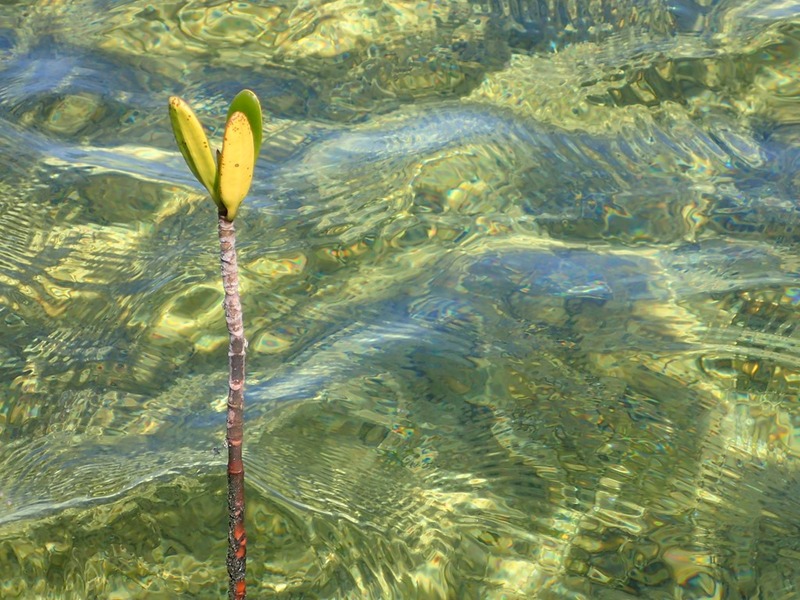 Baby mangroves shoot up far out in the lagoon – way beyond the shore where the rest of the mangroves are clustered. 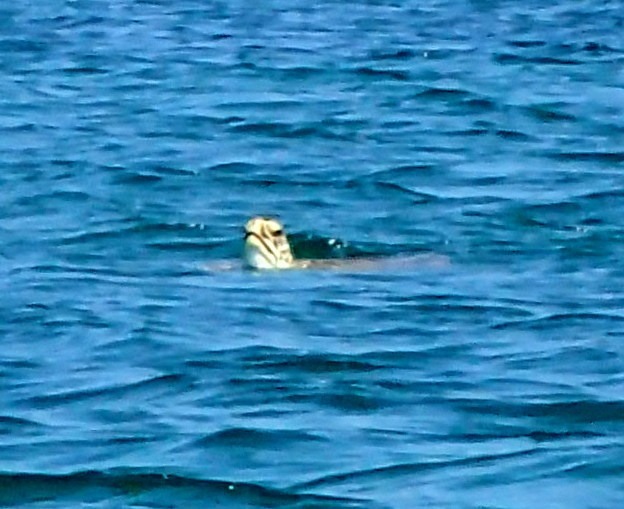 Swimming underwater, in front of the dinghy. 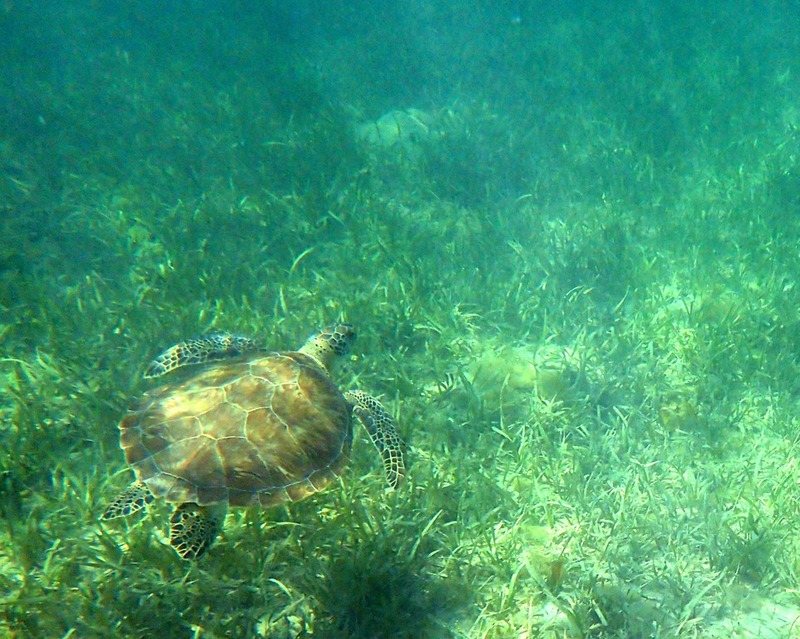 These are green sea turtles, common in tropical and sub-tropical waters. Hunted for years because they supposedly have the best meat for turtle soup, they are now on the US Endangered and Threatened Species list. 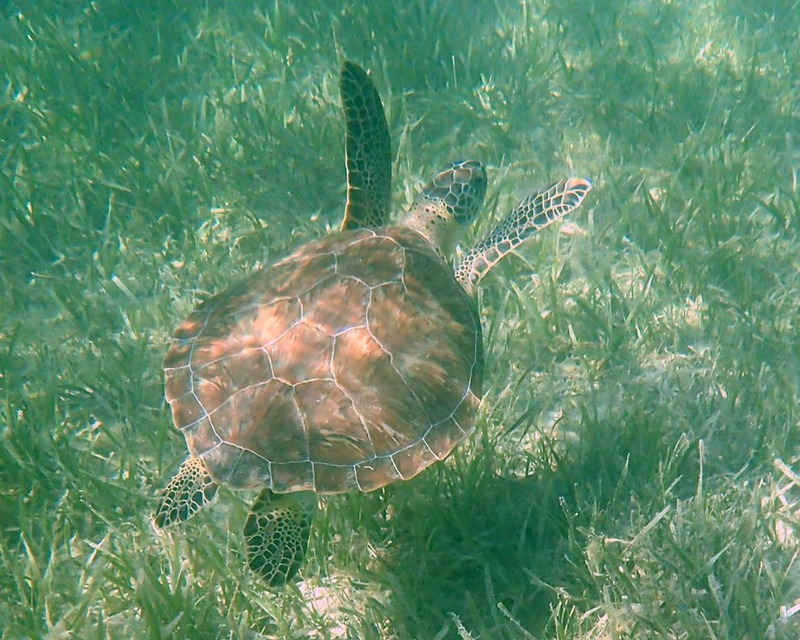 Green turtles are herbivores, favoring sea weed and algae. 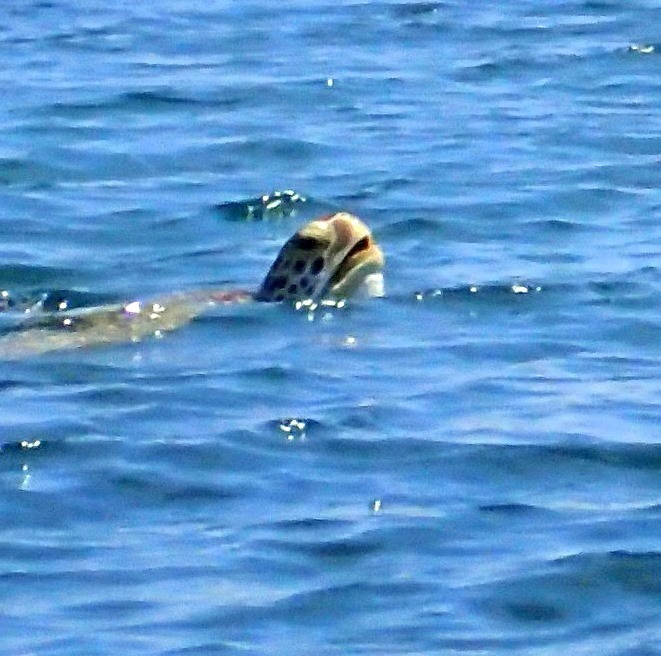 Beautiful and graceful-looking, they average 3 – 4 feet long. 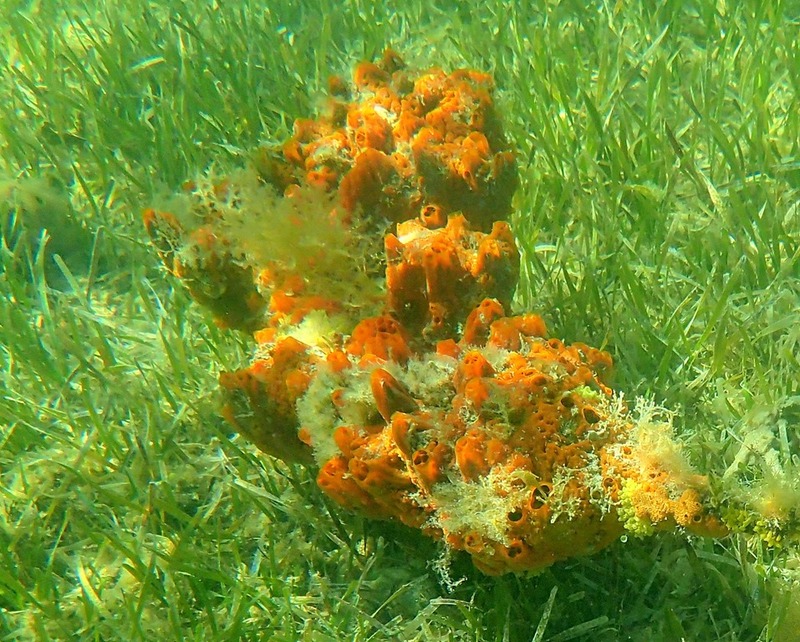 Here’s the last picture of sea life from our dinghy ride. 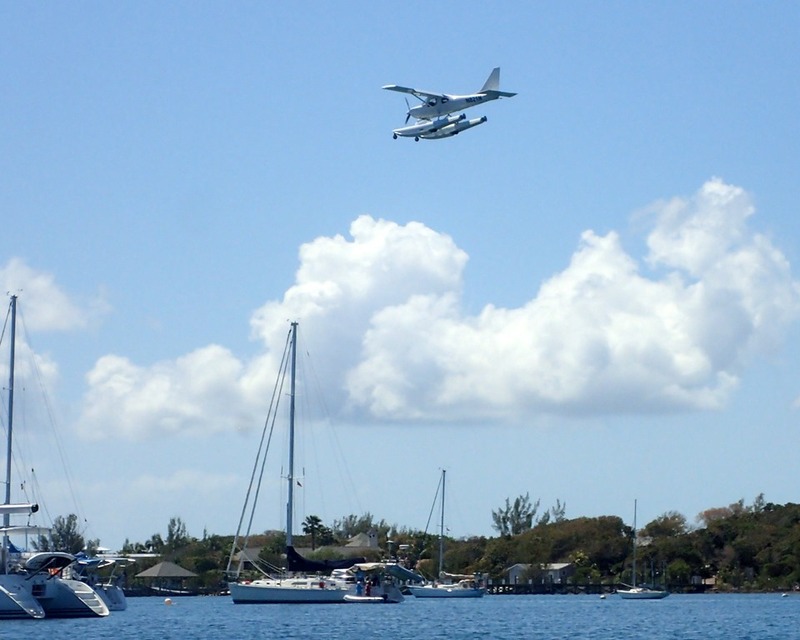 Motu Iti is the smaller boat right under the plane. The float plane circles and makes low swoops over the lagoon, but it never lands. Here’s Motu Iti, on her mooring. We’re just chillin’. Relaxing after the business of Hope Town and re-discovering the joys of spending time on the boat, with each other, surrounded by nature’s beauty. Great photos! The water is so clear and blue….love it!